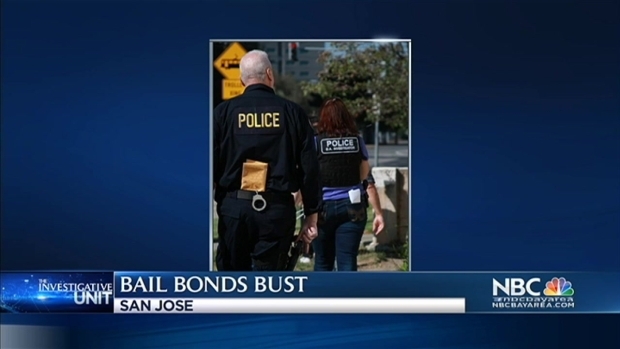 Law enforcement is calling it a historic raid on the bail bonds industry in the Bay Area. So far, 18 bail bondsmen have been arrested and more arrests are expected. The NBC Bay Area Investigative Unit was first to learn of the major sweep that included several locations in San Jose. Sources confirmed the major raid of bail bond companies early Thursday. The California Department of Insurance confirmed what the sources said, but asked NBC Bay Area to hold the information because the raids were not complete, and there was a concern for officer safety. Here's what we know: 18 bail bondsmen, people who made a career out of helping people get out of jail, all spent the past 24 hours trying to get themselves out of jail. The arrests started early Thursday and continued into the night. Law enforcement is calling it a historic raid on the bail bonds industry in the Bay Area. 18 bail bondsmen have been arrested and more arrests are expected. The state's investigation found the bondsmen colluding with inmates inside the jail, sources said. Sources close to the investigation say Luna Bail Bonds in San Jose has had 10 employees arrested, law enforcement has arrested nine employees from Aladdin Bail Bonds, also in San Jose, and one employee from San Jose's Bail Hotline also faces charges. When the raid is finished a total of 31 bail bondsmen from seven different companies will spend time behind bars. They are all accused of colluding with jail inmates to get information on potential bail cases to beat the competition and get the bail business. The Santa Clara County district attorney has filed charges, and they are serious, all felony offenses. The state department of insurance has already revoked the bail licenses of all of the arrested bail bondsmen. Law enforcement agencies made arrests in five counties, including Monterey, Santa Clara, Alameda, San Benito and Merced.